In the first part of this write up we analysed Shahrukh Khan’s journey from an outsider to the biggest superstar of Bollywood. Now, we carry forward King Khan’s saga in Part 2 and analyse the films that he did in the last 10 years to consistently remain at the top of his game. 2002 1 2002 brings good providence for Shahrukh Khan as it marks the commencement of the Multiplex era. He regained the top spot with his mega budget film Devdas (Hit), which is also the highest grossing film of the year. His long delayed Hum Tumhare Hain Sanam (Above Average) also sees a release and does well in most territories. Moreover his extended guest appearance in Shakti: The Power (starring Nana Patekar & Karisma Kapoor) showcases him in a never seen before avatar and earns him some critical acclaim. He also appears in a cameo in Saathiya. Other big stars had a quiet year with Raaz and Kaante closing in at 2nd and 3rd spots. 2003 2 SRK gets to prove his immense acting proficiencies again with debutant director Nikhil Advani's Kal Ho Naa Ho (Hit). If Rajesh Khanna made "Babu Moshai" and "Anand Mara Nahi Anand Marte Nahi" reside in your hearts forever, Shahrukh endeavoured to recreate that magic again after 32 years with his dialogue "Naina! Tum meri ho, main tumhe zindagi bhar pyar karuga marte dam tak pyar karunga aur uske baad bhi". Though he had to content with the second position as Hrithik regained the No 1 position with Koi Mil Gaya (Blockbuster). This year also proved the mettle of old horses at the box office as Sunny Deol, Amitabh Bachchan and Sanjay Dutt take the 3rd, 4th and 5th slots with their films The Hero, Baghban and MunnaBhai MBBS respectively. SRK's another release Chalte Chalte (Semi Hit) was also successful enough to find a spot in the Top10. 2004 1 The SRK magic persists with Veer Zaara (Super Hit) and Main Hoon Na (Hit) emerging as the top two highest grossing films of the year. While one marks the return of the legendary Yash Copra-SRK Jodi, the other gives SRK's good friend choreographer Farah Khan her directorial debut. SRK had another release in Swades (Flop) and in spite of delivering one of his career best performances, it turned out to be a box office dud. Salman Khan - Akshay Kumar starrer Mujhse Shaadi Karogi (Hit) takes the third spot. 2005 - Shahrukh's sole release Paheli (Flop) is India's official entry to the Oscars but is insignificant at the ticket window. Another noteworthy development occurred for SRK in the form of the documentary "The Inner and Outer World of Shah Rukh Khan" directed by British author Nasreen Munni Kabir. In his absence Salman Khan takes charge at box office with his No Entry (Super Hit) and Maine Pyar Kyu Kiya (Semi Hit) taking the 1st and 5th spots. Also, Akshay Kumar makes his presence felt in both the domestic and overseas markets with Garam Masala (Semi Hit) and Waqt (Above Average). Aamir Khan's Mangal Pandey (Below Average) disappoints in spite of being the third highest grosser of the year. 2006 4 2006 can be considered as the onset of stiff competition for SRK from all corners at the ticket window. In spite of delivering 2 successes in Don (Hit) and Kabhi Alvida Na Kehna (Hit), his films manage to grab 5th and 6th spots respectively. Hrithik Roshan has probably the best year of his career with Dhoom 2 (Blockbuster) and Krrish (Blockbuster) emerging as the Top 2 grossing films of the year. Sanjay Dutt delivers his biggest success over a decade in Lage Raho Munnabhai (Blockbuster) which closes in at 3rd spot. While Aamir Khan's Fanaa (Super Hit) and Rang De Basanti (Hit) become the 4th and 8th highest grossing films, Akshay Kumar too has another eventful year as Phir Hera Pheri (Super Hit) and Bhagam Bhag (Hit) lock 9th and 10th spots. 2007 1 Shahrukh Khan bounces back but it is clearly not a one horse race now. 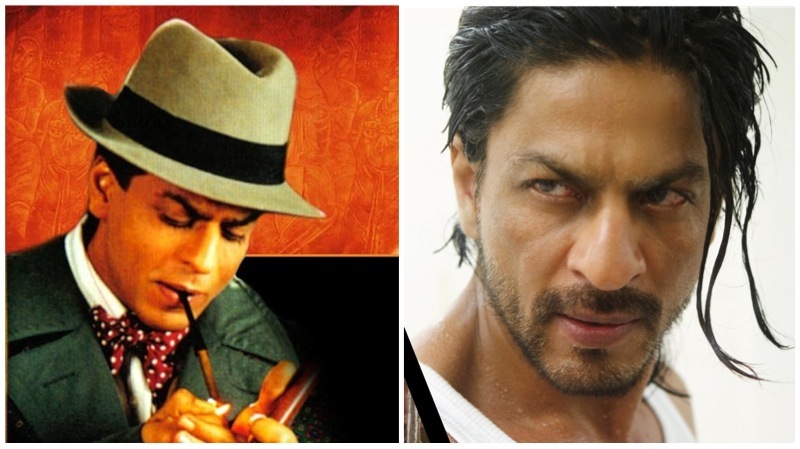 His Om Shanti Om (Blockbuster) and Chak De India (Blockbuster) emerge No.1 and No.4 at box office. The juggernaut Akshay Kumar strikes the ticket window with 4 successive hits - Welcome (Blockbuster), Bhool Bhulaiyaa (Hit), Heyy Babyy (Hit) and Namastey London (Hit). Still, Akki is second to SRK. After being dormant for almost two years, Salman Khan strikes with Partner (Blockbuster) and grabs 3rd position. Aamir Khan's Taare Zameen Par (Super Hit) takes the 5th spot. 2008 2 Shahrukh's Rab Ne Bana Di Jodi (Blockbuster) is the second highest grosser of the year and it also takes his association with Aditya Chopra to the next level. But, it is Aamir Khan who has a mind boggling success in Ghajini (All Time Blockbuster) which also becomes the first film to cross the 100cr mark and gives the Indian film industry its new standard at the ticket window. Concrete success of Singh Is Kingg (Super Hit) ensures that Akshay Kumar holds 3rd position. Saif Ali Khan makes it big with Race (Hit) and grabs 4th spot. Hrithik Roshan has a 'historical' success in Jodhaa Akbar. 2009 N/A SRK has no release and in his absence Aamir Khan not only retains his top spot but creates history again as he becomes the first actor to score a double century. His 3 Idiots (All Time Blockbuster) sets a record by a huge margin which remains unbeaten after 3 years. Salman Khan's Wanted (Super Hit) is a big winner at single screens and ensures him 2nd spot. Saif also enjoys one of his best times with Love Aaj Kal (Super Hit) closing in at No.3. Ranbir's Ajab Prem Ki Ghazab Kahani (Super Hit) not only is the 4th highest grosser but also makes him a star at the box office. Akshay has several big openers which are average in the long run. 2010 5 SRK-Kjo brand returns with My Name Is Khan (Hit) but only manage 5th spot for SRK. 2010 also marks the beginning of Sal-Mania with Dabangg (All Time Blockbuster) that takes Salman's career to a new high. Ajay Devgn is a superstar after multiple hits and takes the second spot after Salman - Golmaal 3 (Blockbuster) - No 2, Raajneeti (Blockbuster) - No 3, Once Upon A Time In Mumbaai (Hit) - No.7 and Atithi Tum Kab Jaoge (Above Average). Ranbir grabs 3rd spot with Raajneeti (Blockbuster) and Akshay Kumar acquires 4th position above SRK with Housefull (Hit) and Tees Maar Khan (Semi Hit). 2011 2 Its Shahrukh vs Salman one on one as both the Khans have two successes each among the top 5 grossers of the year. King Khan makes a re-entry intp the Top 3 with two successes: Ra One (Hit) and Don 2 (Hit) the 3rd and 4th highest grossing films of 2011. Salman's Bodyguard (Blockbuster) and Ready (Blockbuster) are the Top 2 films. Ajay Devgn's Singham (Super Hit) and Hrithik Roshan's Zindagi Milegi Naa Dobara (Hit) follow at 5th and 6th spots. It’s quite evident that SRK has maintained his consistency and carried it forward to the next decade. He has made it to the Top 2 six times and Top 5 eight times. He has been unsuccessful just once and also had no release one year. But, as described above, SRK has been challenged several times since 2006. Question of the Hour: Can “Jab Tak Hai Jaan” bring SRK back to the No 1 spot for the first time since 2007? Wow… 2 people highly consistent for more than 2 decades.. SRK and SRT… SRK is the real and the only king of indian and worldwide box office… hats off to you sir. Rock on. Wow! The second part which was so fantastic for srk.he’s 3 times at no.1..i wish this year srk goes to no.1 spot.. It will not be easy as if srk gains top spot with JTHJ. salman will again grab that position with dabangg 2. Anyways this year will be intresting to see who will be the top 5 as akshay, ranbir, salman already got 100cr movies. if u had any doubt about his starpower, it should have been clear by now. if nt, u r jelous of him. @indicine. nyc . it really shows how consistent he is. he never has a bad phase as such. @indicine. it will be, SRK Box Office Recap: From ‘Devdas’ to ‘Don 2.’ Not ‘Don.’ plz, correct it. – thanks. srk is a nice guy.. he shud make a movie on pancham da.. Everybody is aware that Pancham da was a gr8 music composer but only few must have got hint that he was a grt action hero.. he was action director of Kala Pathar.. But YRF removed his name at last moment and cheated him.. I luv u Pancham Da.. U r no.1 and after that N0.2 to No.10 is empty.. No.11 cums Amitabh Bachchan and No.12 SRK..
As people are circulating negativity regarding screen counts issue and all are defaming SRK tht he is wrong and blah blah..
Srk is consistent actor but he was top 1 back in 2007.. Its nearly 5yrs he never gained that spot.. Amir and salu giving tough competition to Srk and dis year Srk cannot gain top spot.. And next year again its very difficult Bcoz of d3 and k3 and also sher khan.. So he has to wait till 2014 to see if he is lucky. Salman Khan 3 times at no 1…2005/10/11 n Insha Allah dis year too he wll retain his 1st place..
Salman gained top spot in 1989, 91, 94, 99, 05, 10, 11, And also in 2012 he can gain top spot. . And Srk was top in 95,98, 02, 04 and 2007. . . Salman was in top 7times . . If we include this yr then its 8 times . . Whereas Srk was top only 5times . . . . . So past or present salman is no. 1 . . .
@rock kindly ur information kuch kuch hota hai will be include in both (shahrukh & salman) coz of salman also found best supporting actor filmfare award for this movie. SRK had no release in 2009. Then who acted in Billu?Even John Abraham starrer Newyork did better business than Billu. Billu had 3 item numbers featuring Kareena,Deepika & Priyanka. Then from 2009 . You have omitted SRK’s biggest flop Asoka. not so easy for srk..
Its look like impossible to hold d no. 1 position bcoz Sallu’s fever continue.. on bwood.